The Oceanside Task Force on Homelessness was formed by the City of Parksville in 2010. The task force is working to address homelessness and the issues related to homelessness in School District #69, Vancouver Island. The geographical region includes the area from Nanoose to Deep Bay, and inland to Whiskey Creek. 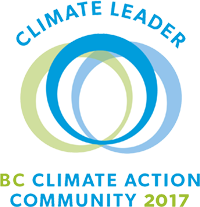 As a regional initiative, the City of Parksville, the Town of Qualicum Beach, and the Regional District of Nanaimo participate on the steering committee and task force with support from the MLA. The Task Force is now co-chaired by Renate Sutherland (Executive Director, Society of Organized Services) and Sharon Welch (Executive Director, Forward House Community Society). The task force steering committee meets monthly and a newsletter is produced for the task force regularly. Services for the homeless in our region are provided by such organizations and service providers as Manna Homeless Society, Society of Organized Services, the Salvation Army, Canadian Mental Health Association and our local churches. Manna Homeless Society offers emergency assistance to homeless in the Oceanside region. If you would like to help, a list of needed supplies is provided here. Since 2011, The Salvation Army, under the auspice of the task force has operated an extreme weather shelter from November 1 to March 31. See below for more information on shelters options in the RDN. The first-ever homeless census was conducted on May 30, 2011. A total of 68 persons were identified; 43 people were considered to be homeless and another 25 were considered to be at risk of homelessness. The second homeless count done in May 2013, found 67 people to be homeless or at-risk of homelessness. In the 2013 count, 73% identified affordable housing as the largest need. In August of 2013, the task force secured funding to hire a coordinator to do a needs assessment on homelessness for the community. The resulting document which addresses the existing services in the community, the gaps in service, and possible solutions from other communities is available below. The task force will use this information to address ways to bridge the gaps within the community focusing on collaboration amongst service providers. This is evident by the broad representation from throughout the community on the steering committee.